^ Pronunciation of Ewan McGregor. Inogolo. 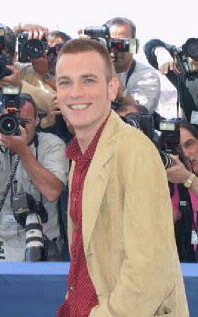 [2008-07-09]. ^ Pfefferman, Naomi. 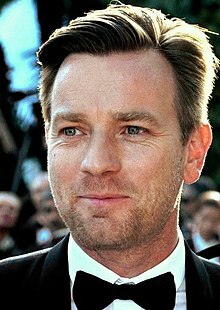 Ewan McGregor’s Jewish connection to ‘American Pastoral’. Jewish Journal. October 19, 2016 [May 26, 2018]. ^ Schleier, Curt. Ewan McGregor’s biggest challenge: Philip Roth. Jewish Telegraphic Agency. October 20, 2016 [May 26, 2018]. "I'm married to a Jewish woman," he said of wife Eve Mavrakis. ^ Macnab, Geoffrey. Ewan McGregor interview: 'Trainspotting sequel has a different energy'. The Independent. November 7, 2016 [May 26, 2018]. ^ Gregg Kilday. Roman Polanski's 'Ghost' adds two. The Hollywood Reporter. 2009-01-21 [2009-02-28]. ^ Breznican, Anthony. Obi-Wan and Yoda are secretly in Star Wars: The Force Awakens. Entertainment Weekly. 20 December 2015 [20 December 2015].